Charter flight I Rent of jets I Aircraft for sale I Challenger 300. CHARTER | CHARTER FLIGHT | RENT OF JETS |AIRCRAFT FOR SALE - BOMBARDIER CHALLENGER 300. A Canadian business jet, the Challenger 300 stands out for its advantage against other medium sized competitors. With nine people on board, Bombardier Challenger 300 is capable of charter flights over distances up to 5,741 kilometers. This capacity makes the Challenger 300 jet very attractive for international charter flights. 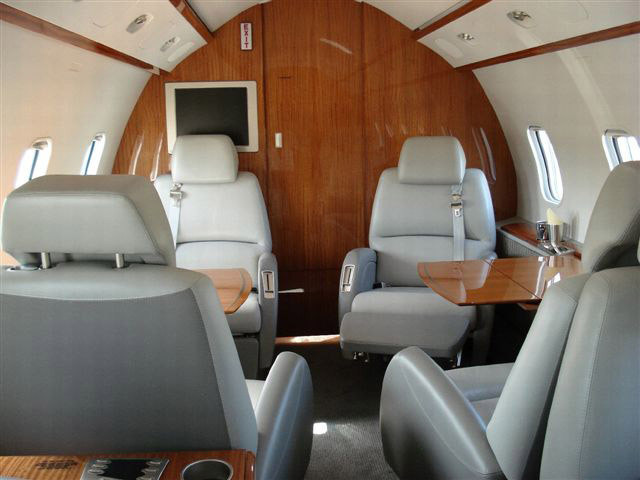 The ICC JET Company offers the Bombardier Challenger 300 jet for rent on favorable terms. Designers of the Bombardier Challenger 300 jet designed it from scratch, taking a past model as a prototype. The basis of the Challenger 300 jet is a full-metal outline of increased reliability, as well as whole wing with winglets without the usual slat with flaps. This increases the capacity of the private jet which can be rented from the ICC JET Company for corporate travel. 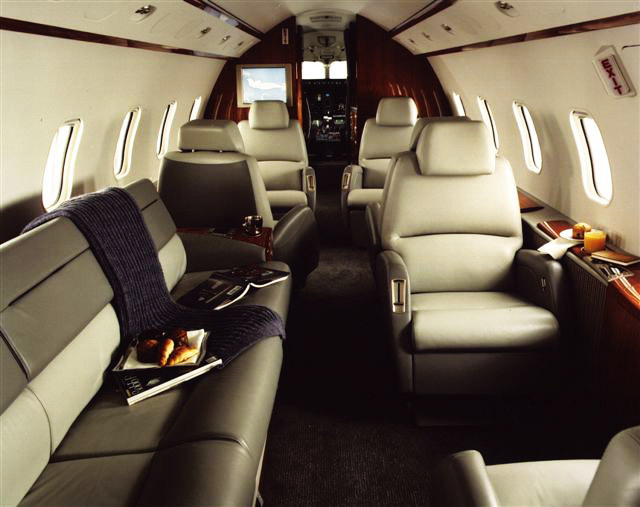 The Challenger 300 cabin provides all conditions for the comfortable accommodation of eight passengers. Each of them can move standing fully, not being afraid to bump his or her head against ceiling of the cabin. The Bombardier Challenger 300 offers multimedia entertainment, a set of office equipment, Liebherr Aerospace-Toulouse air conditioning and a satellite communication system. All seats in the Challenger 300 jet can be transformed into large beds. The luggage compartment is accessible, even during the flight. Modern Rockwell Collins Pro Line 21 avionics, installed in the Bombardier Challenger 300 jet, also has sensors to monitor the flight parameters of the Electronic Flight Instrumentation System (EFIS) and monitors. As a result, pilots are fully informed of the status of all systems and can correct even minor deviations. The operation of the engines in the Bombardier Challenger 300 is reported to the pilots via an Engine In-Flight Condition Monitoring System (EIFCMS). A quick charter with the Bombardier Challenger 300 jet provides one of the world’s most reliable engines, the HTF7000, which has a relatively low cost and high efficiency. With such engines on the Bombardier Challenger 300, longer charter flights can be made, at a distance of 5,471 kilometers with ten passengers on board. The Challenger 300 can be truly proud of having the best soundproofed cabin among business jets in the super-mid class. 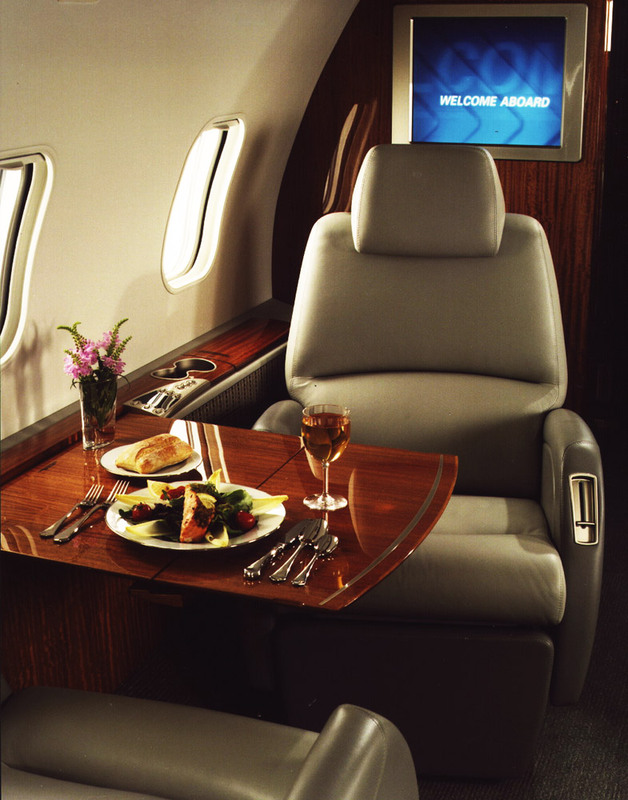 Renting the Bombardier Challenger 300 jet will suit a client who cares about the environment. The HTF7000 engines are developed by using the SABER Honeywell Single Annular comBustor for Emissions Reduction – a “green technology” that reduces harmful emissions into the atmosphere by almost a quarter. The challenger 300 jet is also able to maintain the commercial value over time, which leads to a low cost of renting it for charter flights.